Say "Let's have Japanese food for lunch/dinner" and you would have my complete attention. And that was pretty much how Poketo caught my eye when I visited Street Market Boracay. It would be hard to not take notice of Poketo with the aroma of its grilled skewers. 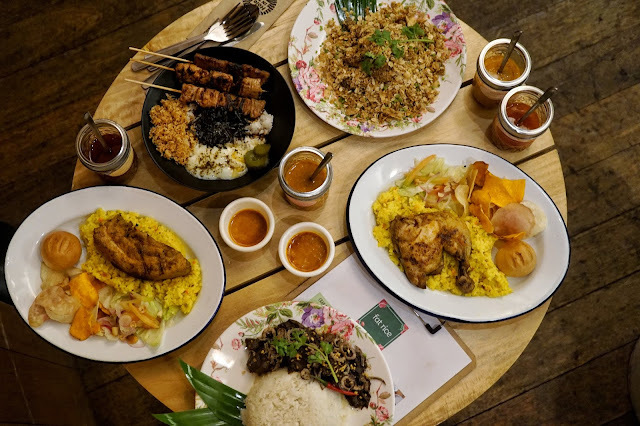 And it was a no brainer for me to brave Manila traffic when I found out that Poketo's in Manila. 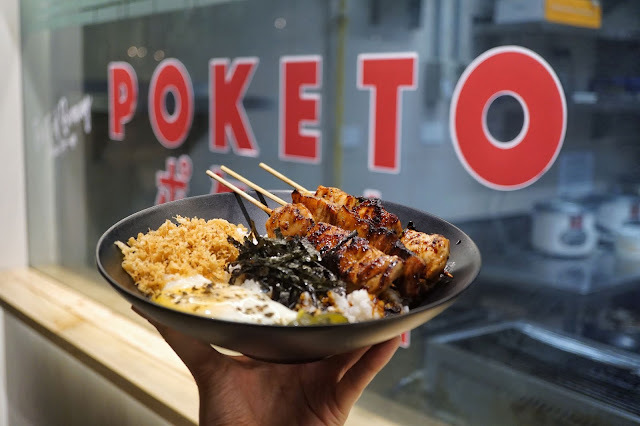 Poketo is another concept from Street Market Boracay and is known for its scrumptious grilled yakitori. I've tried its wagyu yakitori last year and though quite expensive for an island meal, it was worth it. 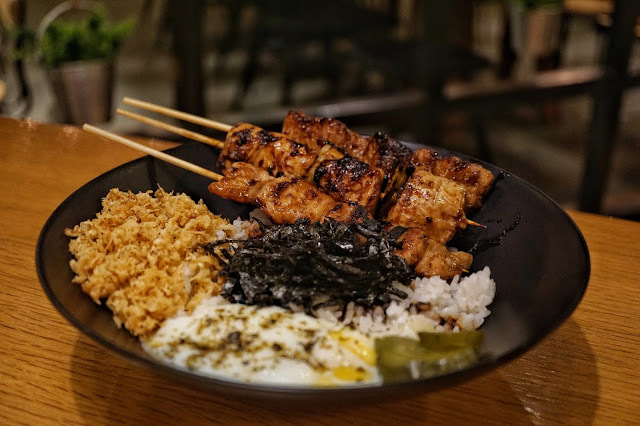 This time, we tried its Yakitori Bowl (PHP320) which comes with three yakitori sticks of your choice with furikake rice, onsen egg, tempura flakes, nori and pickles. I tried chicken breast and pork belly which were both beautifully marinated. I loved how tender both meats were that getting it off the stick was effortless. A harmony of savory and sweet flavors, it was well balanced by the furikake rice which had a slight seafood taste. The onsen egg gave each bite a smooth and silky texture while the tempura flakes gave it crunch. It was a bowl of complex textures that work great together. 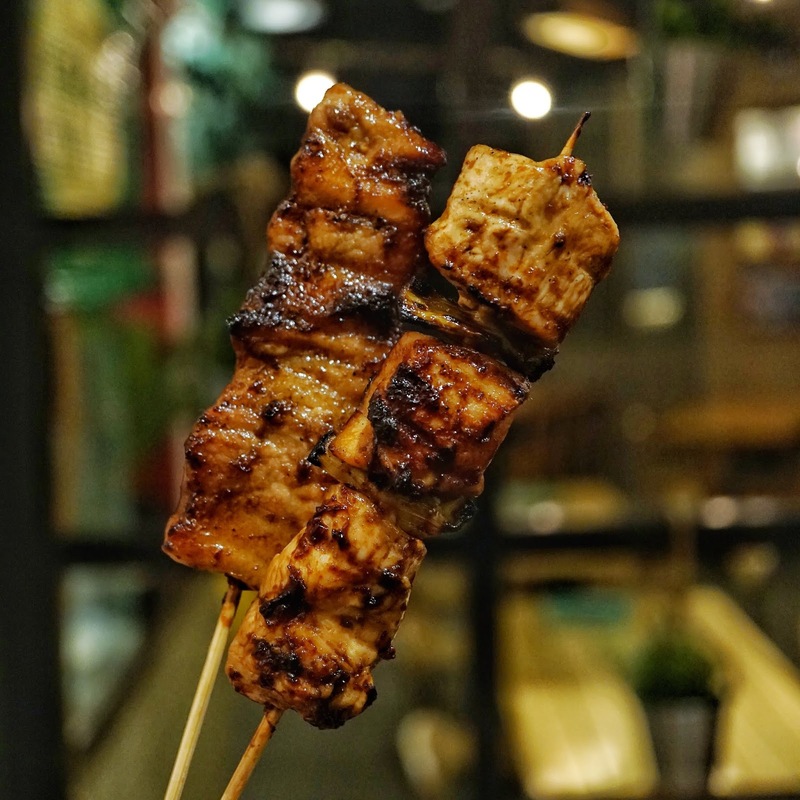 But if you wish to just order yakitori a la carte, it is available at PHP75 per stick. I'd go back for more of its pork belly! 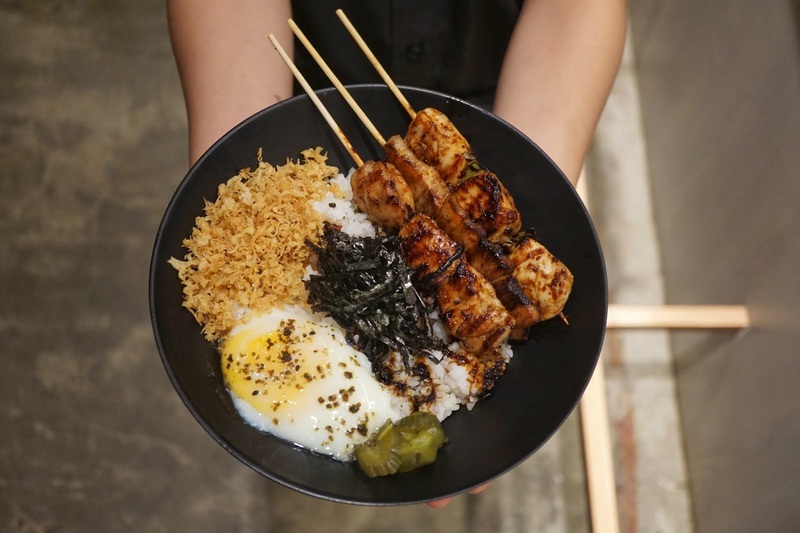 I'd probably skip the Yakitori Bowl so that I get to have more space for other dishes. 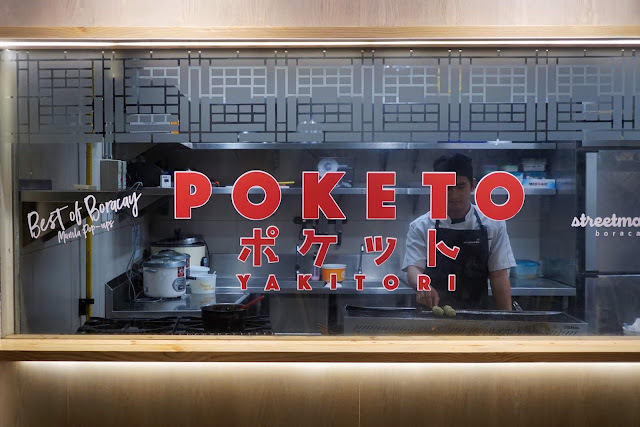 Poketo is available at Hole in the Wall, 4th Floor, Century City Mall, Kalayaan corner Salamanca, Makati City until August 15, 2018.